"The SBPC team really know their stuff, and together they have given me my life back, something which I would not have believed could be done in such a short space of time." "I am so grateful to Steve and his wonderful caring team. I was in a dark painful place when I found the clinic and they were so supportive and knowledgeable. " Developed in the USA, IDD Therapy non-surgical decompression is changing the way sciatica and other chronic disc related conditions can be treated, without the need for injections or surgery. It is a targeted treatment which relieves pressure on specific spinal discs and gently restores mobility. It is used to treat low back pain, neck pain, nerve pain and sciatica where there is an underlying disc problem such as a bulging disc, disc degeneration or inflammation of the facet joints. 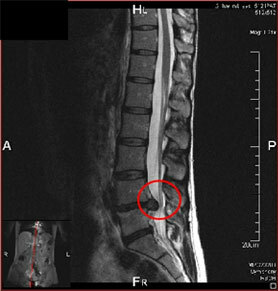 IDD Therapy can be highly effective in reducing pain in patients with damaged spinal discs who have failed to respond to manual therapy and whose only other option had previously been spinal injection or even surgery. If you are in pain we would like to help. Find out how by watching our video below. Safe, gentle and effective, IDD Therapy uses computer-controlled technology to distract (draw apart) and reduce the strain on specific spinal segments in either the lower back or neck where discs are worn, damaged or bulging. By decompressing (taking pressure off) a prolapsed or slipped disc and stretching the soft tissues, it improves the mobility in the spine, allowing the body’s natural healing mechanisms to operate more efficiently. It is this process that can allow your body to retract a bulging disc thereby relieving pain caused by muscle spasm and alleviating trapped nerves and irritation caused by bulging discs. Most patients we see for IDD Therapy typically have chronic back pain, neck pain, leg pain or arm pain, usually with an underlying disc problem. By “chronic” we mean they have been experiencing pain for more than three months. They may be suffering from a deep ache in the back or neck, which restricts movement, caused by degenerative changes in the disc or facet joints or shooting pains down the arm or leg, caused by a disc bulge pressing on and trapping a nerve as it exits the spine. The most common nerve pain addressed by the therapy is Sciatica (nerve pain which travels down the sciatic nerve through the buttocks and legs and sometimes into the foot causing pins and needles or numbness). Similarly, a trapped nerve in the neck will cause similar symptoms in the arm and hand. When pain is not resolving and manual therapy is not working, IDD Therapy helps to bridge the treatment gap. Rather than live in pain, or consider pain management, spinal injections or in extreme cases surgery, patients can undergo non-invasive, effective treatment. Treatment is suitable for people of all ages including patients who have already undergone spinal surgery (provided there is no metal/surgical hardware in the spine). The ‘after’ scans, taken 6 months later, shows the prolapse has all but disappeared. These results followed a six week course of IDD Therapy combined with rehabilitative exercise, after which, her severe sciatic leg pain had completely resolved. She has now been able to return to an active, pain-free life and is very happy again. As the third clinic in the UK to provide IDD Therapy we are experts in this field and the most experienced IDD providers in the South of England by several years. We are part of a growing network of over 1000 clinics worldwide providing the therapy. All clinics use internationally-recognised research tools to monitor patient progress and outcomes. There is no such thing as a miracle cure for back pain and no treatment can guarantee 100% success, however IDD Therapy provides a clear treatment path for patients with unresolved back and neck pain. We are dedicated to helping you if you are suffering from a disc condition in the low back or neck, ensuring you receive the best treatment, care and advice, supporting you the whole way through your recovery. Pain relief and improved quality of life are the key aspects of treatment. 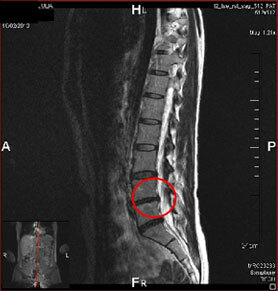 The principal objective of IDD Therapy is to decompress the disc and restore mobility. By progressively improving mobility in the spinal segment over the course of treatment, the body’s natural healing mechanisms can operate more efficiently and the goal of long term pain relief rather than a short term fix can be achieved. To find out if IDD Therapy can help with your condition, just call our reception on 01273 201866 and book an IDD Therapy Assessment appointment. During your assessment a full case history is taken, you will receive a thorough examination and, if you have any MRI scans or other investigations, these will be addressed as well. Once we have established what your problem is and why you still have it, we will discuss the treatment and what the outcomes are likely to be for you so that you can make an informed choice as to whether this treatment is for you. If we require any further investigation this can also be arranged for you at this stage. If, when assessed, we find that this treatment is not appropriate for your particular case we will be able to advise you of other options. If you would prefer to speak to someone first about your condition please ask to speak to Melanie Evans, our IDD Coordinator, who can arrange this for you.